Born in 1930, Donald Valcour moved to Kemptville in 1945 and thereafter called Kemptville his home. He has been honoured as one of the Ottawa Citizen’s Top One Hundred Sports Contributors in the last century to make an impact in the Ottawa Valley. Don joined the Ottawa District Hockey Association in 1965, and held the position of President for five years from 1987-91. From 1975 until 1980 he held the position of Commissioner for the Eastern Ontario Junior “B” Hockey League, and again from 1982 to 1983. Between 1982 to 1998 Don was a member of the Canadian Amateur Hockey Association (now Hockey Canada) in various positions including the Board of Directors. 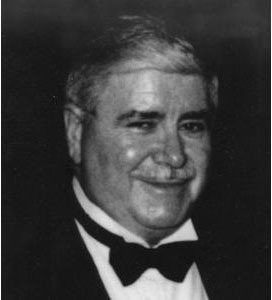 From 1990 to 1998 he was the Chairman of Junior Hockey for the Association. In 1996, he received the highest honour available from the Ottawa District Hockey Association, being elected a life member, and in 1998 he received the Gordon Juckes Award from Hockey Canada for Outstanding Volunteer of the year. Don didn’t spend all of his time volunteering out of town – he was also active in the local community. In 1972, he was one of the founding members of the Kemptville 73s (formerly the Comets) when he and a handful of other local businesses purchased the team. He served for more than 25 years with the Kemptville Lions Club and served a term as Club President in 1972. Over the years Don was awarded and recognized by many in the hockey world, including teams, leagues and tournaments, for his years of dedication and volunteerism.